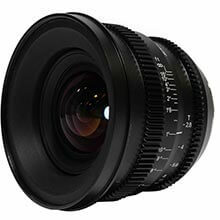 The CINE 1716MFT lens is standard wide angle lens ideal for general photography and cinematography. 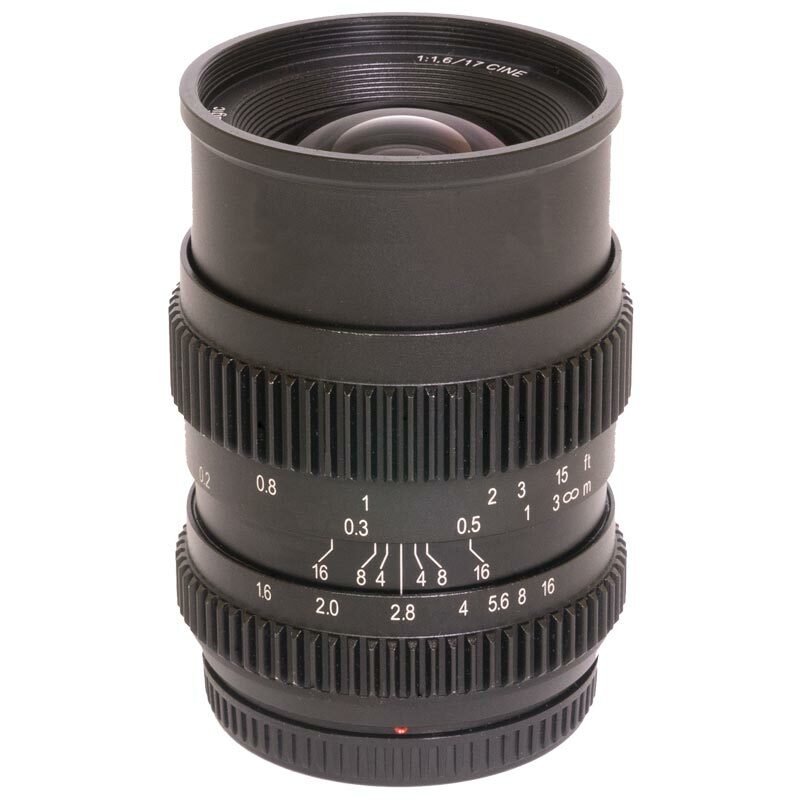 Extremely fast T1.6 lens offering a 17mm focal length (34mm, 35mm format equivalency) and is designed for the Micro Four Thirds mount, ideal for Olympus, Panasonic and Blackmagic system cameras. It offers superior sharpness even in low light situations. 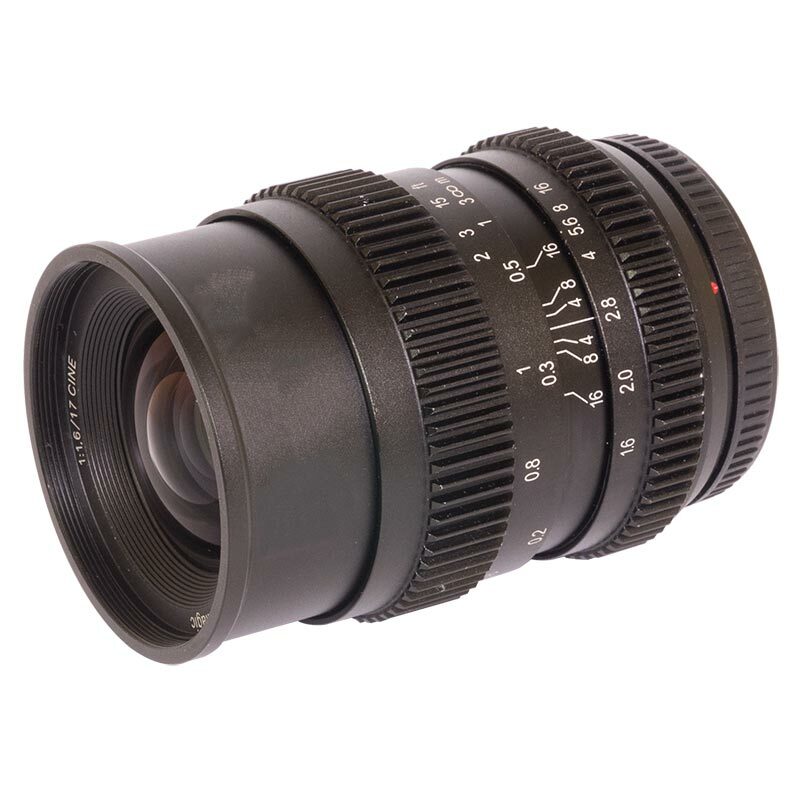 The 17mm T1.6 is particularly well-suited for street and architectural photography. 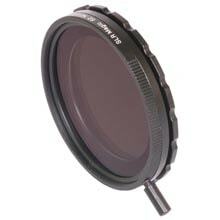 Cinematographers will love this lens too! The solid metal construction houses ten aperture blades giving a beautiful bokeh and a "de-clicked" aperture control (aperture measured in T-stops and this is the actual available light measurement.). The aperture can therefore be set step-lessly and silently, which allows soft transitions in luminance. That way there is less post-processing after shooting. 1/3 stops can be used also.